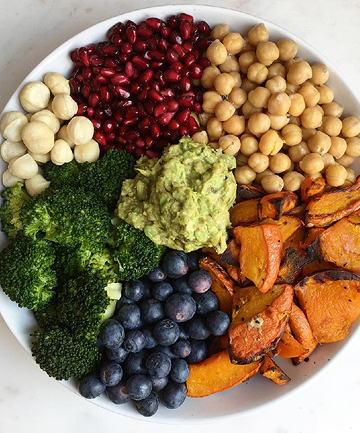 This lunch bowl is packed with so much goodness and color, and the only thing you really need to do is roast the pumpkin. Then it's just a matter of putting everything together and bringing it to work. Take a whole avocado separately then smash it into the bowl when lunch hits for the freshest taste (and because no one likes black avo).